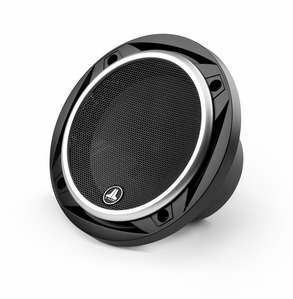 The C2-525cw is a 5.25-inch (130 mm) component woofer capable of accurate reproduction between 63 Hz and 8 kHz. It features a mineral-filled polypropylene cone and stamped steel basket. The woofer design benefits from JL Audio's vast woofer design experience and advanced modeling systems. A grille is included, consisting of a black grille tray and a black steel mesh grille.